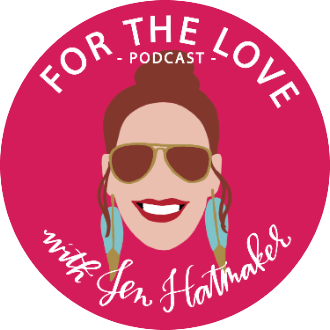 Jen: Hey everybody, it's Jen Hatmaker. Welcome to the show. This is the For The Love Podcast. We are having an amazing series, you guys, and I want to thank you right off the top for all your feedback on it. This series is just generating more interest and responses and enthusiasm than I even expected, and so I want to thank you for everything you've said, all your comments and all your shares. So today, you're going to be delighted. You're gonna be so, so delighted. 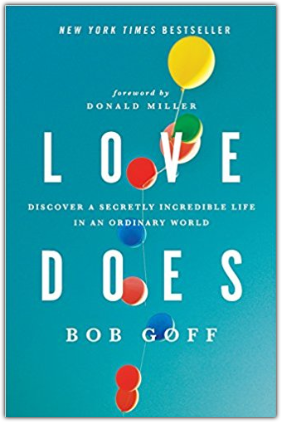 This is For the Love of Exploring our Faith, and it is my great pleasure to get to host the incomparable Bob Goff today. So if you do not know Bob, he probably needs no introduction, but if you don't know him, he is what he calls a recovering lawyer. 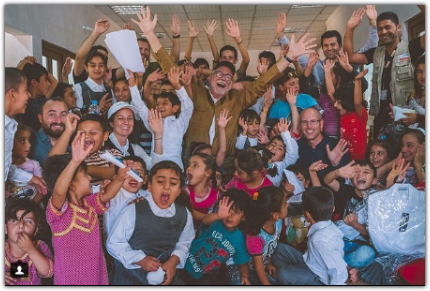 After 25 years of practicing law, gave up his practice, just walked in and quit one day, and began writing and speaking and basically making a difference in the entire world. He penned a New York Times Best Selling book, Love Does, a million and a half copies, which he gave all the money away, where he included all these amazing stories from his own life to give ourselves freedom to choose basically love and faith over fear and doubt. It's phenomenal if you haven't read it. 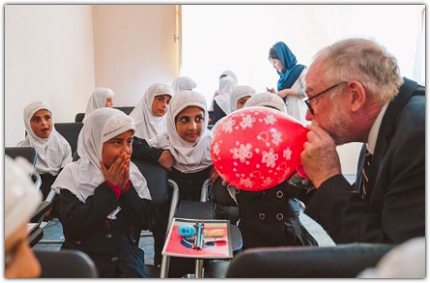 And so the Love Does book and the phenomena that surrounded it sort of gave birth to Love Does, a nonprofit organization created to provide education to kids in conflict zones all around the world. You won't believe all the schools that he has built and where. He's also--this is so random--he's a diplomat, recognized as the Honorary Consul for the Republic of Uganda. What in the world? 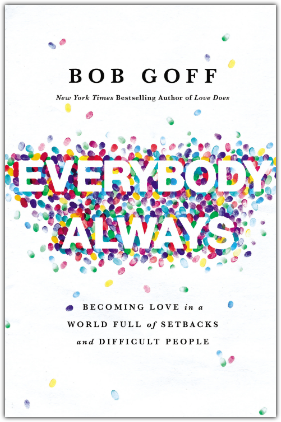 So, Bob just released his very anticipated follow-up to Love Does, which is his latest book called Everybody Always, and it's at the top of the charts. It debuted at number two on the New York Times Best Sellers list and it's still way up there at the very top--and for good reason; because it is so encouraging, and inspiring, and so full of joy--which you'll see what I'm talking about in a minute. If you've never heard Bob talk, you're about to find out. He has been such a good and a dear person to Brandon and I for years, and I honestly just don't know anybody like him. I really don't. I have exposure to a lot of different people in this world, and I have never met anybody like Bob and his wife Maria. They are really, really special people. He and his daughter Lindsey, by the way, also wrote a kids book. 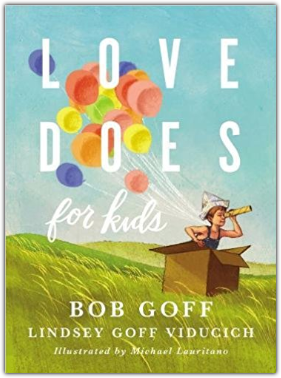 So, parents out there, they wrote a book called Love Does For Kids. It comes out in the fall of this year. So, they live in San Diego, and Maria is also a writer--wonderful writer--and they have three grown kids who have families of their own. So you guys, this is a great conversation. I mean, there's too many moments of wisdom that I don't even know what to tell you. 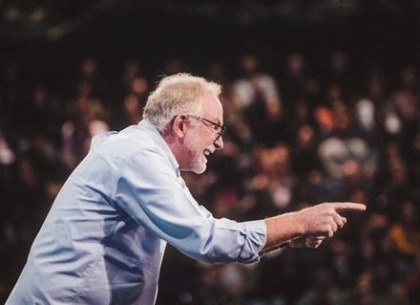 I promise you it's all over on my website on the transcript, when you want to go back and pick up all the nuggets that he dropped on the ground because there are so many. 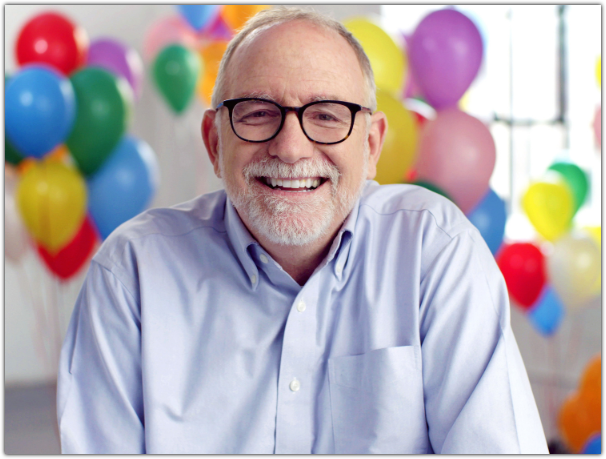 So, help me welcome Bob Goff to the show. Bob: Hey Jen. I'm just so glad we're together. Jen: It's so fun, and the only thing that would be better is if we were sitting across the couch from each other. That would make my entire year, but thank you so much for jumping on the phone. You're so busy, we're gonna talk about that in a second, and you squeezed this in, and I'm so glad that you did. 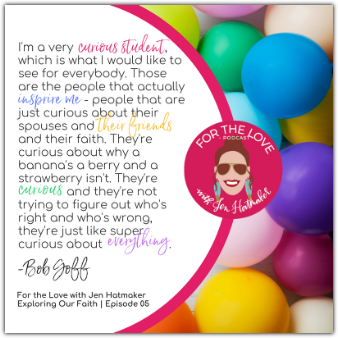 This series is called Exploring Our Faith, and I was just thinking, who helps us explore our faith? Who does? Who pushes us to limits that we don't either know how to or are afraid to walk toward? Who shows us a way that is a little bit more beautiful, a little bit more Jesus-y, and who helps us ask hard questions and answer them, and you're one of them. Thank you for being such a good leader for us. Bob: Oh, boy I'm just honored. I just feel like a student like we all do in these things, but I'm a very curious student, which is what I would like to see for everybody. Those are the people that actually inspire me, people that are just curious about their spouses and their friends and their faith. They're curious about why a banana's a berry and a strawberry isn't. They're curious and they're not trying to figure out who's right and who's wrong, they're just like super curious about everything. You go, "Huh, tell me about that. How is that working out for you?" ​Jen: You know what, I've learned that from you and I appreciate that you are bringing that word back. I think the word curious is not treasured enough in the Christian community like it should be, because I don't know what you've seen, but in my world, sometimes curiosity is interchangeable with asking questions that make people uncomfortable, and so it sort of gets attached to this slippery slope argument where if you're too curious, well you just don't know where that might take you. And so instead of curiosity, I see a higher value placed on certainty. Do you see this too? I find curiosity something I really have to fight for. Bob: Yeah, I think about slippery slopes, that sounds like ice blocking to me. I attach that to actually fun things, not dangerous things. Jen: That's good. That's so good. Bob: Talking about being curious, if you know why you believe what you believe, then you can just feel curious about everything else. So, I would say, like in a relationship, and the things that you have with your kids, you just know why you're doing, what you're doing, and you're kind of making it up. You're kind of building the plane while you're flying it, in some respects, but you're just curious when something comes up. I go like, "Oh wow, I wonder where that one came from?" Oftentimes the peculiar behaviors on my part and other people's part, they're just insecure. Bob: I just get curious. I'll be like, "Oh, I wonder what's made you so insecure that you need to feel like you need to be right rather than being Jesus." Bob: And I'm right in the boat. I'm insecure too, but I'm just trying to work out my insecurities in private rather than in public. Jen: That's so good. Can you tell everybody to do that? Is that something we can tell the whole world? I think that is so kind. I think that makes for a kinder community and one that's not so locked down in fear all the time, 'cause curiosity's a good antidote to fear because it replaces uncertainty with a bit of wonder and a bit of intrigue. ​I don't know. I find that a wonderful way to live and you model it so beautifully, and I wonder if we can go backwards just a hair. We're gonna pull up to Everybody Always here in just a minute, but I want to go back to Love Does because those were some of my earlier years of meeting you and knowing you. ​"I learned that faith isn't about knowing all the right stuff or obeying a list of rules, it's something more, something more costly, because it involves being present and making a sacrifice. Perhaps that's why Jesus is sometimes called Emmanuel, God with us. I think that's what God had in mind, for Jesus to be present, to just be with us. It's also what He has in mind for us when it comes to other people." ​I find that so simply true, but so complicated to grasp. Would you give us your take on being present with people, and what does making a sacrifice for them mean to you? Bob: Oh, good questions. I'll just tell you the first things that come to mind. The first thing is this idea that being with people doesn't mean you need to be advocating something. I think there's a lot of people that are really well-intentioned and have a really sincere belief, probably love Jesus way more than me, but they're trying to be His lawyer. And the problem is this: He doesn't need one and they're not good at it. Jen: Strike one and strike two. Bob: Yeah, so the people that have actually impacted me the most were people that didn't think they were my teacher, they thought they were my friend. Bob: So, if we know authentic friendships, if we just love people without an agenda--because as soon as love has an agenda, it ain't love anymore, it's something else. Bob: They're coming from a good place. They're trying to help baby Jesus out, but He's out of the crib. He's got this thing. Jen: Yeah He is. That's so good. Bob: So, I don't think it's a bad thing, I just think, "Oh, actually they're trying to be helpful." The problem is that it's just not actually being that helpful. I feel like I've grown the most where people didn't inform me, they actually accepted me and just said, "Okay." So if this idea of acceptance, it doesn't mean we're going the lowest common denominator. I continually just go back to, is there anything in scripture that talks about that? But I'm not trying to work that out with them in a conversation, I'm just curious myself. I'm like, I'm wondering thought, if that's gonna be my source document, I'm gonna go back there. But if the person I'm talking to, that isn't their source document, I'm not gonna try to go there. I'm gonna go there myself and try to inform myself, be curious enough to say, "I wonder how that works." I don't know about you, Jen, if you've gone through the day with your shirt untucked and realized at the end of the day you were one button off. Jen: Yes, I certainly have. I've done it on stage. Yes. Bob: Yeah, it happens to me all the time. And I think people that have shaped my faith the most were a couple buttons off in theirs. Bob: I wasn't trying to sort them out, I was just curious. I'd go, "Huh, I wonder how that works?" And then I'd go back to what I think or kind of for me, my source documents, and I'll just say, "Hey, what am I gonna do with that?" Usually I come up with the same answer, like be kind, and just be generous. It's not blowing sunshine at people to be kind. It's not enabling people to be kind. It's just being kind to be kind. And I'm a lawyer, I win arguments for a living, but I'm not trying to be Jesus' lawyer. I'm trying to be, to your point about being present, I'm easily distracted, as I think you are. Bob: On Enneagram's, raving seven. How about you? Jen: Oh, I knew you were a seven. I'm a three, but I wanted to be a seven. So I'm distracted, but I'm distracted by achievement, so way less fun than your fun life, yes. Bob: I'm just like, "Is everybody having fun?" Bob: So, a seven, Maria is not. She's like ... Sweet Maria is like Troy. She figures out how everybody's doing and wonderfully so. And so this idea of we're not trying to be like each other, we're trying to be like Jesus, and the way to do that is to be with each other, not be identical to each other. So, what I think sometimes happens is that we have this idea that God makes people, and that people make issues, but people aren't issues, people are people. Just be with them. And if you disagree with them, Mazel tov. Bob: Source documents, just go back to what you know, why you believe what you believe, and then get on with the really important work of loving everybody. Jen: I appreciate that message so much. I think about this and I teach this and I talk about this too that I think sometimes on as you put it, issues, we get to this point and we start white knuckling the issue and think, "Well, but what if, what if I can't get this person to see this my way, which I think is the right way," and my question is, "Okay, so, and then what?" Like, are either of you gonna die or can you just carry on with the business of loving one another and being friends and being kind and being good? I think it's this almost sense of impending doom if we cannot somehow get everybody on our side, except that I don't find that in the Bible. I don't find that Jesus' way at all. He left so much space in the room all the time, and it drove people crazy. I love that about Him, and I love that about you. Bob: No, I tried it. It just didn't work out. Jen: It's just not your way. So you walked away from lawyering after what, 25 years? Bob: Yeah, isn't that awesome? I walked into my own law firm in downtown Seattle, got everybody together and I said, "I quit." ​Bob:... 'cause I spend all this time being old Bob, and what I want to be each day, and I think scripture talks about new creations, that we can be new Bob. I met new Bob like five hours ago. We're just getting acquainted. Jen: I love that. In fact, you kind of carry that over because still you mostly quit something every Thursday. You barely keep a calendar. 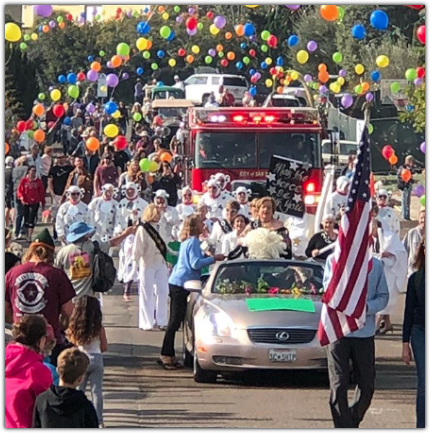 You have parades in your neighborhood. You just push a lot of boundaries. You test a lot of limits that I like. It's fun to watch. You've said on Twitter before, "Faith isn't figuring out what we're able to do, it's deciding what we're going to do even when we think we can't." Like quitting your job on a random day. ​So I'm curious about you, when did you start living like this? Living in a way that frankly, and I pay attention to the world, I don't honestly see anybody else who lives in the way that you and Maria live to the amazing degree to which you just openly embrace life and living and people. So, how are you like this? Why are you like this? When did you get like this? And how did your life change once you started kind of putting some of these into action? Bob: Yeah, you know I appreciate these things that you're saying, and my aspiration would be to live into all of those. But kind of like everybody listening, we feel like we're just making headway. We're just trying to move towards this beautiful thing. I don't think God always gives us a destination, other than His feet, but like this, I gave a direction in your life, and it's usually the confluence of things that you're good at, things that actually Jesus talked about in scripture like hungry people, thirsty people, sick people, strange people, naked people, and people in jail, and then just taking some good friends along. I think He loves to see His children at play. So, what I'm trying to do is with a lot of focus and intentionality, figure out what are the things, not that are gonna work, but what are the things that are gonna last. That narrows it down a whole bunch for me, 'cause a bunch of things that I used to do, I'd be hoping they work. I haven't met many people that are hoping it crashes and burns, but I've done a bunch of things that have actually worked but they didn't last. I've done a bunch of things that didn't work at all. But what I'm trying to not do is over identify with the things that didn't work, but to just say, okay, new Bob. And I'm gonna carve this new groove in my brain. If you want to continue all the things you've been doing, like be old Jen, old Bob, just keep doing all the things you've been doing. ​Jen: Just go for it. Bob:... and the way to go Grand Canyon is involves some risk. And for each of us, God doesn't compare what He creates. What He does is He creates all of us and He says ... I think even the disciples had the question, like what's our job? In John 6 He said, "Your job is to believe in the one God sent." Bob: So, we can hang onto that, that idea. So, what are you good at, what's gonna last, and then what's gonna inspire not just you, but maybe some of the people around you? That's an important distinction for me, 'cause my life is always working for me, but when my life isn't working for Sweet Maria or Lindsey or Richard or Adam, then it's time to pump the brakes a little bit. Jen: I like that question. What have you done lately that you would say hit those marks that was a little bit risky, a little bit Grand Canyon, you weren't quite sure of an outcome, but you're like, we're gonna go for this? ​Bob: Oh yeah, what we did with all the Love Does money, we just gave it all away, which has been so fun. We just go and build schools, which cracks me up 'cause my worst subject in school was school. Jen: All of it. Yup. Jen: Afghanistan, yes. Ah yes, yes, yes, yes. This is so wonderful to watch. You know, so many of us watch you do this work, and it just feels vibrant and it feels to me like I think maybe this was the sort of abundant life Jesus was talking about. I really do. This life of generosity and adventure honestly, and thrill and connectedness. You're setting an example for a lot of us watching because frankly, there are other rewards we get for doing things that work, to use your term. Doing things that work is safer territory, but I'm telling you that we are learning so much from watching you. ​Your new book, Everybody Always, obviously falls on the heels of Love Does, and I think obviously this is so timely, this book of yours is so incredibly timely. I told you before we hopped on the recording, I wish we could put it in the hands of every single living human on this earth, because of course one of the things you talk about in Everybody Always, which is such a great title, is loving difficult people, and it's such a strange time right now, isn't it? Everything feels so divided and it feels so polarized and it feels so angry. Everybody's in their corners, and you're offering us some ideas for how do we come back to one another, how do we love the people who sometimes seem the absolute most difficult to love. Can you talk about that a little bit, how we do this in action, not just in theory? ​Bob: So, what I wanted to do is figure out where am I with this idea of loving your enemies, 'cause it's easy to love you, but you're low-hanging fruit 'cause you're actually engaging and fun and all that, but how do you love the people who creep you out? And here's the crazy part, we're the people who creep lots of people out. Like you creep people out, I creep people out. Bob: They don't have a shelf for that, and wonderfully, God didn't make us to have shelves, He made us to have friends. So, one of the things that I just decided to tease out in my own life is how am I dealing with people who are actually very difficult or people who are ... not my enemy, 'cause I don't have a bunch of enemies, but there are sure a bunch of people I don't get. Bob: So, part of this was spawned out of trying a death penalty case, actually, in Uganda against a witch doctor, and you know that story. Witchcraft has been going on for so many millennia there, but nobody's ever taken on a witch doctor, 'cause they're all afraid of them. But this idea of like, they're just punks. Jesus has all the power. So we tried the case, but there would be one thing to just take this victory lap or pound your chest and say, you know, "Good guys win, bad guys lose," but that wasn't Jesus' way. He wasn't self-promoting, He wasn't focusing on this, He wasn't waving bony fingers at people. What He was doing to His friends, in Matthew, right after saying if you have enemies or somebody who you don't get along with, leave church, sort it out, and then come back. I'll tell you, everybody listening, don't go to church Sunday if you're not willing to do what He said, which is to square up with some of the people that you've had problems with. And is it tough? Oh heck yeah, but that's the deal. That's where we grow. We don't grow with the low-hanging fruit. I'm gonna make you feel like a boss if we're hanging out, because I'm a pretty good friend, but find the people that actually aren't good at that. And so what we did is I sent out word on the bush radio. I said, "The Consul General for the Republic of Uganda," 'cause they still let me be that, "The Consul General is here and I command every witch doctor to meet with me," and they came, Jen. I've met a thousand witch doctors. And I asked these guys, "What do you need?" And they said, "We don't know how to read or write." And so we started this witch doctor school, and we don't teach them how to be witch doctors, they already know. And the only books they have are the Bible and Love Does. Isn't that awesome? ​Bob: You should see our graduations. They're awesome. They're like nothing you've ever seen before. They're creepy and all that, but there's something actually beautiful that's going on in their lives. I get my first call usually at midnight, you know? ​I got a call at about, I don't know, it was between midnight and 2:00 in the morning, from two witch doctors in witch doctor school, and they said a little boy's been abducted and taken into the bush for a child sacrifice, but we know where he is. Do you think we should go get the kid? And I'm standing on the bed in my boxers screaming into the phone, "Get the kid!" Four hours later I get a text message from these two people that everybody else is creeped out about, and they say, "We've rescued the child, he's with his mother," and the last two words, "Love does." ​Bob: So, the whole idea of just engaging the people who creep you out. I don't know. I'm just trying to figure out, but if you want a report card of where you're at in your faith, see how you're dealing with the people you disagree with the most. Jen: That's right. That is the question to ask right now, and it's so convicting. It's so convicting because I can see my own tendency in this sort of very, very polarized culture that we're living in right now, my tendency is to gravitate to people who are very much like me and already think like I think, and agree with what I think, and are kind of endorsing my worldview, and they're mad at the same people I'm mad at, which is incredibly helpful. So it's just sort of this echo chamber. So, when I think about putting into practice, if I we’re gonna not go to church Sunday, and instead sort of go find the people for whom I have been offended by or I have offended them, now this is faith. That feels like—well, that's something Jesus would do. ​It's very, very alarming. I hate this. I might cut this out of the podcast. I might just edit this part right out, but it's interesting that you say it because you have been such a force of love and support in my life and in Brandon's, last year specifically, and what was tricky then was discovering that I was the difficult person that others were trying to figure out how to love. That was me. ​​I was the person in that space. You sent us balloons and cookies and kind notes and care packages. Maria sent the key to her house. That doesn't make any sense at all. That makes no sense at all. I don't know who gave you guys a set of life rules, but that one doesn't even make sense. So, you loved me when other people were saying I was the difficult one, I was the creepy one, I was the one making it really difficult to love. So, as someone who's been on the receiving end of--what felt like at the time--really surprising grace, really surprising proximity and connectedness; I can tell you that I'll never forget it. I mean, I will just never forget it, and the depth to which that kind of love and attention deeply sunk into our hearts and in our souls, it was transformative. So, what you're selling is real. I'm buying it, but it is challenging. What can you teach us about doing this well? About the moment—okay--we've left the church. We're gonna be eye to eye with somebody who is challenging for us, or we are to them--then what? Bob: Yeah, you know, it's like a student driver. I fly an airplane to fly in and out of this place we have up in Canada that you've been to. Anytime you talk to the tower, I always say, "I'm a student pilot." It's awesome. You know why? Because they're nicer to you. It's like, what does this thing do? So, one of the ideas is to continue to remember that we're all amateurs when it comes to love and acceptance. I haven't seen anybody go pro and have a leather suit and be sponsored by Target. Instead, we're all amateurs at this and we're trying to make our way forward. We're trying to not just listen for loud voices, but listen for true voices. And say hey, at the same time, I'm not gonna say truth is this variable, but I think we're looking at eternity through a knot hole, and we're reporting back as accurately as we can everything we see, but I have to continue to remind myself I'm looking through a knot hole. I think I'm seeing all of it, and I'm indeed seeing 100% of everything I can see, but it ain't much. So, that just causes me to be just a little bit more humble. When I'm having an opinion that I want to tell God about, He keeps asking about my heart. Jen: I know, He's so frustrating. Bob: He doesn't care about my big opinions. Jen: Yes, I know. I'm always wanting Him to listen to my opinions. I have ideas, things He could be doing down here that I see fit, but no, no, He's always just going after who do you love and how are you loving them, and oh, it's so frustrating. Bob: Yeah, and for somebody where faith isn't a big deal, just continue to love people, but if faith does guide your decisions, there's this verse ... and you don't need a Bible verse for everything, but it's helpful to know why you're doing what you're doing. It's Galatians 5:6, it says, "The only thing that counts is faith expressed in love." Bob: So, this whole idea of just expressing faith in acts of love, without agenda, just do it because it just like leaks out of you. And I'll tell you, you'd have to carry a mop behind you. You love people. And will you get misunderstood along the way? Oh heck yeah. Look, they killed Jesus. Jen: That's true, they did. Jen: Yes, it's always the second year seminary student. Bob: What I try to do, is my tweets never have Bible verses, 'cause I want the guy at the tire store that might not know anything about ... That's why the books I write don't have Bible verses. I want everybody to feel welcome. If you're just looking from afar like the disciples were, or standing up close like the women were, like the Marys, I just want the people to feel included in this and welcomed, not just invited, but actually welcomed. Jen: If He wants some receipts? Bob:... I may have been wrong, but here's what I was thinking. So, when I do it I say, “why am I saying what I'm saying, and then why am I doing what I'm doing, and then kind of right back to the beginning of our discussion about knowing what love is, getting that definition right. When my daughter was in high school, I knew there was gonna be a bunch of boys who would ask her to the prom, and I said, "Just ask these guys what's your definition of love?" And they're guys, they won't know what love is. So just call and figure it out, and as soon as you know what love is, come back and tell me and I'll tell you if we'll go out. If they come back and say it's like butterflies, I mean, you can get that from bad pizza, but love is sacrifice and commitment. Bob:... I went to Who Framed Roger Rabbit the day it came out. Do you remember? Bob:... you were probably like in grade school. Jen: I was a kid, but it was amazing. Bob: So I went, I saw it premier. I stood in line and everything. The next movie I went to was with Sweet Maria. It was called Hidden Figures. Have you seen that one? Jen: That was the next movie you went and saw? ​Bob:... Yeah, and there's recliners, and there's butlers. So I am sitting with Sweet Maria holding hands, and there's a guy tossing a salad for the people in front of me. They're like, "Butler is there ..." they're still hidden figures. I couldn't see past him. But I think that when I get to heaven and have Jesus look me in the eye and say, "Bob, people couldn't see me because your opinions were blocking my view." Bob: Because we can have these deeply held convictions and opinions informed by your faith, but I guess I just don't want to block people's view of Jesus. We see Him a little bit at a time, this idea of becoming a Christian isn't just a starry night where you saw a shooting star and put a flag in the sand. I feel like I'm still becoming a Christian, this placing more and more faith in who Jesus is in my life, having informing my faith, and the crazy thing is, we think we take the creepy people who really need Jesus and we've taken some shingles off the roof and we're lowering them down to be before Him, and I think they're lowering us. 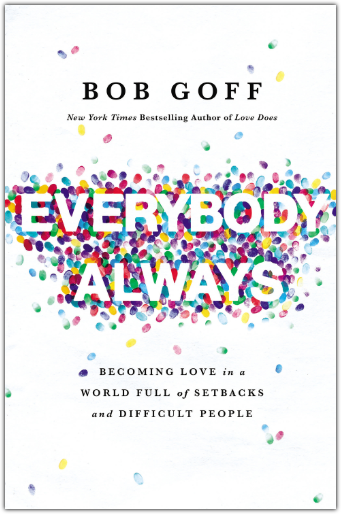 Bob: If you really want to get somewhere in your faith, find the people who have been difficult. So, these people on Twitter that send some angsty ... that only happens once or twice a year, but what I'll do, so I'll go into their feed, and I'll read something about them. I'm not trying to validate that I'm a nice guy and they're mean. I just go like, they use different language. They have a different worldview. And so once I've learned one thing from them, I block them. It's like a going away party. Bob: Good luck. But there's something actually beautiful about that. I'm not gonna get in these public conversations about things because I don't even know them. I don't know their name, and there's something beautiful about that. Jesus' shortest sermon ever when Mary runs to the tomb and thinks He's the gardener, He just says her name, "Mary." I love that. And so if I don't know somebody's name, I'm not gonna engage them. Jen: I find all this so incredibly wise and useful, and I don't know why we feel compelled to show up to every fight we're invited to. That's just so unhealthy and so unwise, especially on the internet for crying out loud, when we don't even know each other's names, and I also think it's interesting what you're saying because for some reason, for some human reason, it can be really hard to trust Jesus and the word and God, all the times they told us that kind of the final deal was love, that was the answer, that was the finish line, that was the point, that is the method, that is the scaffolding ... I mean, I don't know how many times we have to read it, and yet we still feel like it might be our job to put all the right words out into the universe and convince and cajole and sort of override other opinions. That, to me, is a really hard internal system to override, to realize that if Jesus told us hundreds of times that love is enough and it will do the trick, and it will introduce people to Jesus, I wonder why it's so hard to believe Him. He's pretty good at this thing. He's been doing it for some time, and He really does reach people's hearts and souls through the love of one another, and so I don't know what our major malfunction is to always feel like we have to be everybody's savior when He asks us to be their friend. I appreciate that you are teaching us how not to do that. Why do we want to do that? What is inside of us that thinks we are that powerful? Bob: I think sometimes we just don't recognize it's Him. That was Matthew 25. He's talking about sheep and goats, but He meant me and you, Jen. Like that we would just not recognize Him. I mean, Jesus dies, resurrected, and He doesn't make a speech, He makes breakfast for His friends. And His friends don't recognize Him. Bob: They didn't recognize Him the first time either. The first thing He says, "Push your boats out a little deeper." And they thought it was a bad idea, what He was telling them. That was their first interaction with the God of the cosmos, thinking what He said was a bad idea. And like them, I usually have my nets on the wrong side of the boat, like 50/50 chance, but what I'm trying to do now is just look for a little bit of Jesus in people, and it sounds like a Sunday school kind of thing, but it really involves staring a little bit and pausing a little bit if you're gonna be a safe cracker. In those movies, they would have their ear up to the safe and they're spinning the dial, and they're listening for the tumblers. But if there's like a lot of noise in our life, we can't hear the tumblers in our own life, and you certainly won't hear them falling in other people's lives. And I would admit, there's some people right now that I'm staring at and I go, "I'm just not seeing the Jesus part yet." But I would just say, I'm looking through a knot hole. So I'm just trying to be a little bit more kind and generous. In Philippians, it talks about considering others more worthy than yourself, and sometimes that's hard when so many people are really difficult. I was going to speak somewhere, and I wrote a note to somebody else that was gonna speak there. I said, "We haven't met yet," and I always like to meet the people that we're gonna speak, 'cause you can tell if people are friends rather than ... If you want like a concert, go to Bruce Springsteen, 'cause he actually is awesome. Bob: But I just wanted a bunch of friends talking, so I said, "Could I come by, swing by the state that you're in on the way back from somewhere and just say hi. I'll get you an ice cream cone." And I got this really mean letter back, and I'm like not a mean guy. I'm pretty hard not to get along with. And so, you know what I did, there's kind of three things I do every time. I just assumed that she was smarter than me, because she used a bunch of words that I had to actually look them up. Have you ever gotten one of those letters? Bob: I'm like, dang. Then I assumed that she loved God more than me. That's the idea of considering other people more worthy than yourself. And then, here was the key: I came up with the least creepiest explanation, 'cause it's easy for me to go with the creepiest explanation, right? Bob: That they're way off base and all that, but I said, "What's the least creepiest?" And what I came up with is that she was probably having a bad day. Bob: I've had a couple. I don't just write people letters when I'm having a bad day though. So I spoke at a church. There's 3000 seats in there, they're all full except one in the front row, center, and a woman comes late and she's got a seven foot boa around her neck ... not like feathers from the 1950s, it's a python. Bob: And I'm like, "Oh my gosh!" And then I thought for a second. I just assumed she was smarter than me. All evidence to the contrary. I just assumed she loved God more than me 'cause she was certainly on track to meet Him sooner. Bob: And then I thought, "What's the least creepiest explanation?" And you know what I came up with? Bob: I'm like, "Maybe she doesn't know." 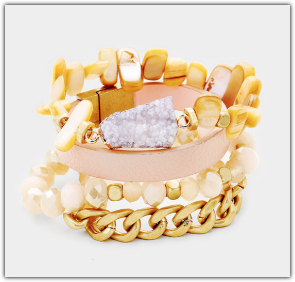 That type of a brand is like her way to be spiritual. I'm like, I'm not telling her. ​Bob: So, if we could do that with some people, and they build our bridges, they live under our bridges, they rule us, they bother us, we elect them, we divorce them. All the people that have been the most difficult, to just assume that God's up to something different in their life right now and up to in my life. 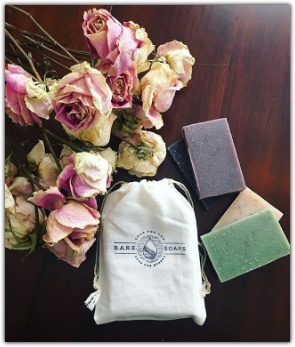 You've got a wedding planner last Saturday who is praying for sunshine, and you've got a farmer last Saturday that was praying for rain, and I think God is just up to different things in different people's lives at different times. It doesn't change what's true, it just changes what's happening. Jen: That's a great analogy. I love in your book that you don't just give us theories and concepts and ideas on how to love everybody always, but you introduce us to some pretty incredible men and women, and you tell their stories of how they have made countless lives better, and so you speak about all kinds of interesting people in your life. A blind Paralympian, an airport security officer, obviously the Ugandan witch doctors, which you've mentioned already, skydivers, refugees, a widow, a convict, so many more that you bring their stories to bare, and we get to see this power of both love and being loved. It sort of is this living, breathing example that we get to read of everything that you're teaching us. You've already talked a little bit about the witch doctors. Can you tell any one of those other stories? Maybe your favorite, or maybe one that you don't even have in the book? Bob: Yeah, I'm just thinking about how Jesus ... I'm back to why do you do what you do, and so in Matthew 13 it said Jesus never talked to anybody without telling them a picture story. And so you speak at a lot of places, and I get a chance to once in a while, and so what I do in advance is I'll send a thousand pictures to them. Literally, they're like, how long do you think you're talking for? But I'll take a thousand stories, and then I'll meet an hour before, be giving it some thought that day, and just say, "What's actually going on in my life?" I don't think Jesus had note cards again, but just like that idea, He was probably walking up to the Sermon on the Mount and talking to Peter, and Peter probably said something about, "You know, blessed are those humble people." Bob: I can see Jesus saying, "Blessed are the humble people," and Peter's like, "You took my tweet." But this idea that He didn't say the same thing on each mount. Like I can't see Him in the third service saying, "You know, I heard that two mounts ago." But He was just talking about stories, so that's why the book is full of stories, 'cause that's what He did. Bob: One of my favorite stories in the book is about this friend of mine named Lex is the Paralympian that you mentioned. He lost his sight when he was eight years old, and by the time he got to college, he figured out he could run like the wind. And so what he did is he went out for the track team. It seems like a bad idea for a blind guy, but Lex has a friend, and he ran towards a voice he could trust. His friend would run in front of him and call his name. And so Lex picked an event, and he picked the long jump. Again, seems like a pretty bad idea for a guy totally blind, but Lex has a friend. His friend would stand at the edge of the sandpit and call his name, and he just ran towards a voice he could trust. And Lex is pretty good at this because he qualifies for the Olympics in Rio. Bob: And in the run up to it, there's the World Games. His friend is at the edge of the sandpit calling his name, and Lex jumps, but he's crooked when he takes off. He crashes and burns on the concrete. And I think that's happened to all of us. We like ran for something, we jumped hard ... It was a career or relationship, a kid, it was something we wanted really bad, and we missed. Well, he crashes and burns on the concrete, but Lex has a friend, and his friend got him a new jersey 'cause he was mooning everybody. He walked him back 110 feet, six inches, and he squared his shoulders to the sandpit, went to the edge and started calling his name again. And when Lex uncorks this big jump, he won the whole thing. What I think about, the reason that story is poignant for me is that I want for us to be voices people can trust. And then if we're just saying things that are just like ... If you give people advice that rhymes, and if you get any, run ... But if you have people that are speaking truth into your life and they know why they believe what they believe, be a voice that people will run towards. I'm running towards Jesus', but the guy at the tire store might not. Have him trust your voice. Bob:... His business card says this, "People believe what I tell them." Isn't that a boss business card? Jen: That's great. So good. ​Bob: I would think everybody, where faith was really significant for you, could put that with a straight face on a business card, to say, "People believe what I tell them." And I think I just want to be a voice people can trust. I think you doing what you're doing, you could be running a small country, but you said, I actually want to do some of the things I'm doing because I want to be a voice people can trust. Is your voice going to be for everybody? Will mine? Oh heck no. But for the people that it rings ... You'd think Jesus told all these stories so people would understand more, and He said, "I told stories so they wouldn't." He told stories so if it was for them, it would land, and if it wasn't for them, it would just sail right by. I think that's that idea of being willing to be misunderstood, but know why you believe what you believe. Today I'm only saying things that I know are true. You don't need to footnote everything. If I meet somebody, I'm not going to say, "My name's Bob and here's my driver's license. I live in San Diego and here's my utility bill." So sometimes giving Bible verses to people, they're like, "Dude, we're good." Bob: You should know though, why you're saying what you're saying and only say true stuff. Jen: So, I want to talk about something inside of that that you just said, 'cause I'm thinking about the people listening, and just kind of like you, I've got listeners and friends from every sort of stripe. Inside and outside of faith, all along the spectrum, every sort of tradition and denomination, and none, so I've got a lot of listeners, but I know that a lot of my listeners have grown up in a spiritual space where they were very deeply instructed and urged, really, to have this very sturdy grasp of apologetics, in so that in other words, their primary purpose on this earth was to very neatly and precisely be able to describe here are the four spiritual laws to get to heaven or whatever the things are. The Roman road to salvation was the one I was raised in. So, we have this sense that apologetics was the way that we were gonna unleash on the earth and be able to bring people to Jesus. But you have said what I think very wisely, is that when you feel like you can't explain your faith, go love someone and you just did. And so I wonder if you can speak to the person listening who feels like all this love just feels a little gushy. What about when I have to talk about the Roman road to salvation? What about when I need to explain all of this in 10 steps so that somebody can understand it all? Do you sincerely believe that when we act in love, that could literally be more effective to draw people to God than any other tools we might have at the ready or feel like we need to have at our disposal? Bob: Yeah, two thoughts on that. The first, I don't know if I'd make a very good evangelical because I don't think we lead people to Jesus, I think Jesus leads people to Jesus. Bob: I think our job is supposed to just love people, like the big Simon Peter moment, like who do you say I am ... a teacher, prophet. He says, "You're God." And He said, "Flesh and blood hasn't revealed it to you, but the Spirit." So, the second thought I have is that ... And then two sentences later, He says, "Don't tell anybody," which just like freaks everyone out who feels like they need to help Jesus out, 'cause I just think we love people really well if we know what love is, sacrifice and commitment, getting outside of yourself and not blocking people's views with your opinions. But knowing the truth of whatever source documents that you go to. I don't want to assume that it's scripture for everybody, right? It is for me, but if you make that assumption for somebody else, you're trying to convince them that something ... it's a faulty premise for them, so I would just say, well why don't you just do your job, which is to love them, and let the Holy Spirit do His job, which is to tell them what they want. Bob: As soon as somebody tells me what I want, I don't want it anymore. I think you've got the same rebel thing. Jen: Yeah. I sure do. You know that I do. And I've been on the other side of that, and the truth is, people deeply sense when they are a friend, and they also deeply sense when they are an agenda. That's not a mystery. We're not hiding that well anyway, and so I'm just not sure that's a good way to go about our lives. Jen: Alright, so obviously, one super tangible way that you show love on a global level is through Love Does (the nonprofit), which is so phenomenal. And so I heard that you were first inspired to create that org in India, but then just as you do, you became the Honorary Consul to Uganda, just like people become, and it just escalated. It just escalated. So I would love for you just to talk for a minute about Love Does, how it got started, what it looks like right now, and what's next for it. Bob: Yeah, so the whole idea, probably like the people that are listening, I had this beautiful ambition. I thought, I want to help people and all that. I'm a lawyer, I've got a day job. So I went to these wonderful organizations and said, "Can I just work for you and help out?" And they all said no. That was just wisely on their part. But you get to decide, each one of us, are you going to treat this like God closed the door, and I hear that so many times, like you know, I've wanted this thing for 20 years, and then I asked Billy and he said no, and I guess God closed the door. I'm like, oh heck no. The only thing that happened is that Billy said no. That's the only transaction that went on. And so I would encourage your people like that idea of kick a couple doors down. You don't need to get a restraining order, but just actually get engaged in some of these beautiful ambitions that you have, and don't take no for an answer, but I also wouldn't take yes for an answer. Just because somebody says yes you can do it doesn't mean that it's your thing. Bob:... I get a lot of phone calls, so I know a call, but Jesus hasn't called me once. But He doesn't need to. He keeps dropping these friends like you and He drops scripture on my life. That's how I've divined what it is that I'm supposed to do, and then just don't get off the scent. So that's what we've done, and like has happened in your life, like has happened in the lives of the people listening, one thing leads to another and another. I didn't think we'd be in some of the countries we're headed to until we just decided we were. Bob: I read about some girls and they're throwing acid in their face. I'm like, oh heck no. We're gonna give them books, and you know what? This idea to fail trying, don't fail watching. Jen: Ah, I love it. Bob: Will this work? I don't know if it'll work. Talk to me in a week or two if I make it back, but that idea of fail trying. Jen: I like that so much that almost every good thing that's ever happened has just been somebody saying, "You know, I don't think I'm gonna be okay with that happening on my watch, so I'm just gonna engage in some bananas way, and leave the results up to God or the universe," or whatever they think, "And just engage." I find that posture so exciting and refreshing, and also a tiny bit terrifying, 'cause then anything's possible. If we're not able to constantly close doors on God's behalf, well then heck, anything's possible. Jen: I know. I love that story. Bob:... just to deliver food. And the whole idea, God isn't wowed when you go across an ocean, he's dazzled when you go across the street ... 'cause I think of how many millions of people I flew over the top of on the way to help somebody else, and if they're all tied for first place in His mind, then just go love the person that's next to you. If that leads you somewhere far away, terrific. But if it doesn't lead you to the people that have been creeping you out, then I would say ... I would just take a walk around the block and say “does it matter more what my faith looks like, or does it matter more what it is?” I'm trying to do door number two. Jen: That's good. I love it so much. Alright, one last question, and this is something we're asking every guest in this particular series. I would just love for you to leave us with either a quote from a leader that you love, or it could be a scripture that epitomizes your life's work ... something that is moving you, that is inspiring you, that is helping keep your foot on the gas to do what it is that you do. Bob: Oh, I didn't grow up in the church. I found a Bible once in high school on the back of a bus, and I read Matthew, Mark, Luke, and John, and I'm like, same story. They call it the Good Book, I'm like, this is actually poor to medium, right? Jen: Oh no. Oh gosh. Bob: So, the whole idea is that Jesus cures 10 lepers, and one comes back to say thanks. And I love the words that He said, like, "Where are the other nine?" I don't think it was an indictment, I think He would say, "Come back with a grateful heart. Now go find the other nine and tell them what happened, just how good it is to be grateful, to come back to God and say, filled with gratefulness, and then just ready to launch into the world." Bob:... Literally, just be grateful, and then spread the news to people, and whatever it is. If you're doing what you're doing because you just think Jesus is Lord, then good on ya. If you're doing it because you think another worldview, good on ya. Just continue to do that because if God is as big as I'm believing He is, then I think He's gonna show that to you and He's gonna use beautiful people, and He's gonna use some people that are kinda creepy to do it as well. Jen: That's exactly right. On that note, let me just say that you are so special to me, you are so special to Brandon, and we're just forever gonna be grateful that we know you and that you have widened your circle to include us. We have learned so much from you, and your generous spirit continues to instruct us and inspire us, and also love us. Jen:... and for being who you are. You're great. Bob: ... They're part of this crazy mix too, and I'm still figuring it out. So good to be in the adventure with you. Thanks for having me on. Wasn't that just phenomenal? 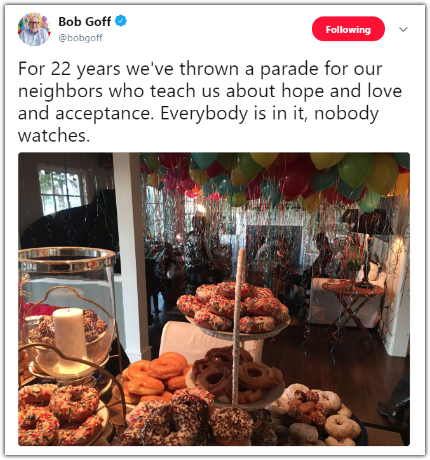 Bob is the kind of leader that makes me glad I'm a Christian, and makes me want to keep being one. Just so much joy and generosity and kindness and goodness. I am buying what he is selling, I'll tell you that right now. He is one of the good ones. So you guys, I mentioned it at the top, but all of this, this whole podcast will be over on my website at JenHatmaker.com under the podcast tab. We build out a transcript page that I hope you are using, because sometimes there's so many amazing things you want to remember and you can't grab them all in your brain. So my amazing partner and assistant Amanda has built that whole page out for you, and so it's transcribed, it's extra pictures, it's links to all of Bob's books and sites and organizations and everything that he does, and some bonus content. It's a really wonderful resource, so I hope you're using it. Okay, I hope you were delighted with that conversation just as much as I was. 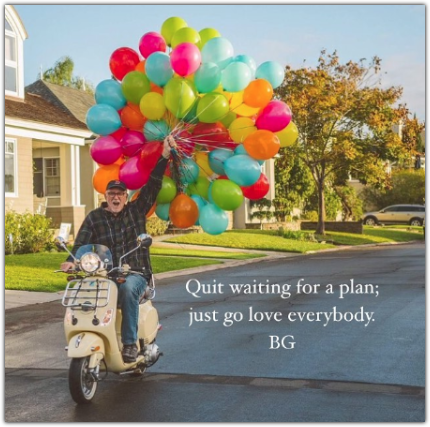 My day has been made, and there is nothing like a little Bob Goff in your day to pick it right up. So you guys, thank you for joining me. I'm so happy you were here. I'm so happy you got to hear that conversation, and I just appreciate you being amazing listeners and so loyal, and so smart and engaged. It's just such a joy to serve you. So you guys, have a good one, and I'll see you back here next week.